Opt for an elegant sweet vibe with this High-Waist Checked Midi Skirt from Andrea Martinez’s AW18 collection. 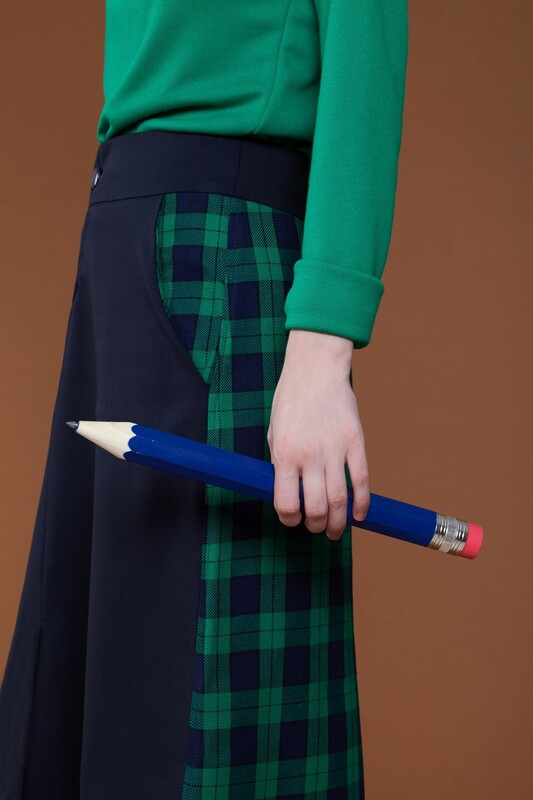 Expertly crafted in Spain from wool-blend, this retro-inspired piece sits high on the waist and features a contrasting navy panel at the front. Style your checked skirt with a crisp white shirt and black loafers for a twist to your usual office attire.